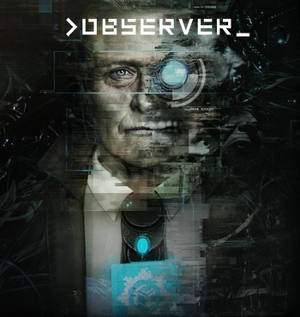 Observer Original Soundtrack, released on Soundcloud and composed by Arkadiusz Reikowski, accompanies a cyberpunk horror game that takes place in the far future, where those known as Observers are able to hack into the minds of individuals. As such, the game itself blends typical horror soundtrack tropes with more electronic touches, but is the end result something that manages to stand out? The soundtrack opens with “The Year is 2084,” a nondescript ambient tune with glitch electronics. That trend continues with “The City View,” adding chimes and electronic warble to the ambience to, presumably, give off a creepier vibe, but the end result is still something that just fades out of existence with no hook or strong atmospheric presence like many other horror games. The first hint of something different is “You Are Not in Control,” which blends distorted electronic tones and exotic vocals, helping to bring a much needed change to the presence of the soundtrack, but, unfortunately, the vocals are obnoxiously repetitive, much to the detriment of the piece. 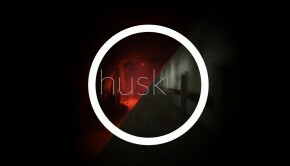 Tracks like “I Am What They Fear” and “Lockdown” offer droning electronic accompaniment mixed with industrial tones, helping to match the setting of the game, but in the end, manage to just exist, like an empty shell with no pearl inside. “Altered Brain” offers a more cacophonic approach, blending industrial tones with lighter synths, while “The Church” features the return of the exotic vocals present in “You Are Not in Control,” but, like that tune, are more of an annoyance despite the musical texture they add. Perhaps the most creative of all the pieces on the soundtrack is “Mirror Me – Mother Queen.” The end result is chaotic, full of industrial sounds and electronic garbles amidst pulsing beats, all creating tension, yet at the same time, being a completely unbearable listen. Similarly, “Mirror Me – Observe Who,” one of the bonus tracks, offers another cacophonic and tense tune, but suffers from the same problems of “Mirror Me – Mother Queen.” The other bonus track, “Chill Monk,” has interesting rhythms and somewhat of an “urban sprawl” vibe that do give off a chill atmosphere, much to its namesake, but suffers from repetition. One tune that incorporates vocals in a more tolerable way is “Into Your Dreams,” an atmospheric piece with chimes and vocals, giving off a chilling vibe. One of the highlights is “Whatever It Takes,” thanks to its more organic sound. Acoustic guitar and ambient synth make for a very peaceful listen, while the addition of an eerie choir in the end brings the tune back into the realm of many of the other pieces on the soundtrack, atmospherically speaking. Lastly, “End Titles” ends the album on a decent note with its futuristic vibe, strings, and beautiful piano line, giving it a very haunting sound and a bit of an 80s sci-fi touch. While probably more effective in-game, on a standalone listen the Observer Original Soundtrack is largely unpalatable, with only a few tracks offering any lasting impression. The atmospheric tracks certainly do what they are meant to do, but fail to elicit any positive impressions. 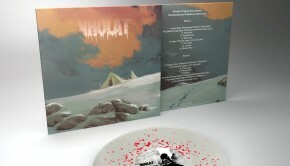 Similarly, the vocals featured on the album, while helping to break up the monotony of the atmospheric tracks, come across as more of a hindrance overall, with repetitive phrases and a generally homogeneous sound across the soundtrack. The soundtrack is available to listen to on Soundcloud. Posted on December 8, 2017 by Don Kotowski. Last modified on December 8, 2017.